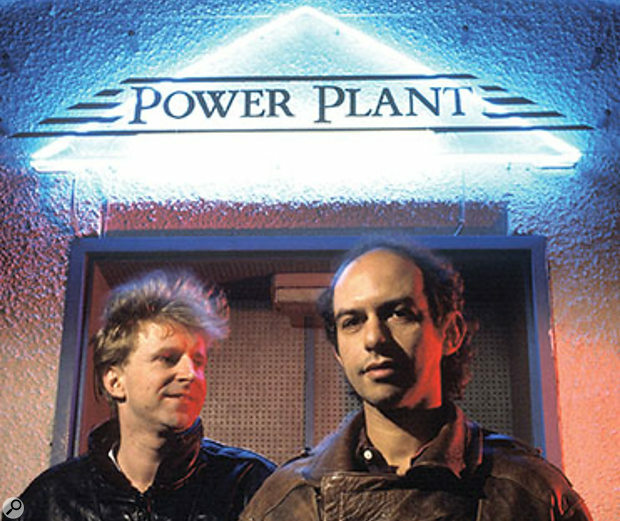 Robin Millar (left) with Mike Pela outside the Power Plant, where they produced Sade’s album Promise. With waveforms on screen now the norm, how do the visually challenged navigate audio production? Pop music has had no shortage of blind and otherwise visually challenged but incredibly successful purveyors, from Ray Charles and Stevie Wonder to Jose Feliciano, Jeff Healy, Art Tatum and Andrea Bocelli. The old‑time blues greats often built their unsighted status into their brands, like Blind Lemon Jefferson, Blind Willie Johnson, and the Blind Boys of Alabama. But less known are those who work the other side of the board, most notable of whom might be producer Robin Millar (Sade, Boy George), whose blindness didn’t constrain either his aesthetic or his entrepreneurial instincts (one of his more recent hats is that of Executive Group Chairman of the Blue Raincoat Chrysalis Group). But as difficult as it was for the visually challenged to work in the analogue environment, it became infinitely more so when the mostly tactile interface of physical knobs and faders migrated to video screens when the industry went digital. Pro Tools is the technological lingua franca of music production, and Avid have adapted that platform for visually impaired users, an effort led by Ed Gray, Avid’s director of partnering programmes, who is blind himself. Pro Tools’ voice‑and‑keyboard interface is based partly on Apple’s VoiceOver feature, introduced in 2005 as part of the 10.4 Tiger upgrade. It enables users with visual impairment to use applications via keyboard commands and mouse/trackpad gestures, and is also capable of reading aloud the contents of several types of file. However, integration with Pro Tools didn’t come about until its v11.1 iteration in 2014. It took a while, says Gray, for the pro‑audio industry in general to recognise the visually impaired as proper consumers, but it’s understandable given the general lack of awareness around the problem. There are a few online forums, including a Google group dedicated to visually challenged Pro Tools users, but they may number altogether perhaps in the very low thousands. According to the National Federation for the Blind, 7.3 million Americans — about 2.3 percent of the population — have a visual disability; in the key working demographic ages 16 to 64, the ratio drops to 1.9 percent. It’s anyone’s guess how many of them pursue music production, but it’s likely not a huge constituency. On the other hand, as digital audio markets saturate, the blind also become another niche market, something they are already becoming in other sectors: for instance, Vanda Pharmaceuticals bought over $29 million worth of air time in the past several years running a TV ad blitz promoting their medication for a sleep disorder that afflicts the blind — even though potential patients can’t actually see the commercial. That’s not to take anything away from Avid’s initiative, though — in fact, the company were acknowledged in 2016 by the National Federation for the Blind with their Access Award, which honours individuals, corporations and organisations that eliminate or substantially reduce inequities faced by people with vision loss. 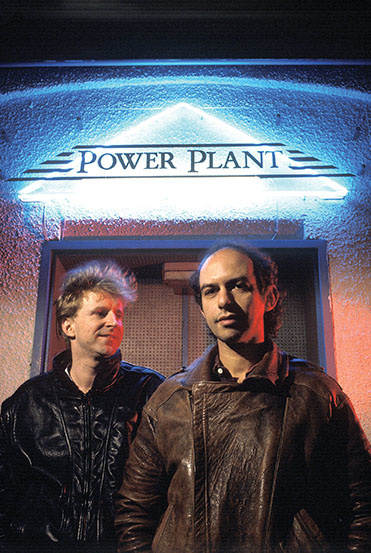 Most importantly, though, “[We’re] no longer an afterthought,” says Gray, who credits colleagues like Slau Halatyn, who founded the recording studio BeSharp in New York even as he was losing his own sight, and who along with Gray formed the core of a small group of beta testers who worked on making Pro Tools more accessible to the blind and those with diminished sight. Others have also contributed, such as Byron Harden, a Chicago‑area engineer who tackled his failing eyesight by memorising the control panel of his Roland 2480 hard‑disk recorder. In 2011, he founded I See Music, an eight‑week training programme that uses adaptive technology and a specific set of instructional techniques for visually impaired pro audio students. Given the incalculable contribution to music that blind artists and producers have made and continue to make, any possibility that could put the production side of music more securely at their fingertips should be acknowledged and pursued. The playing fields of life will never be fully levelled, but the same technologies that often leave behind some users can also be adapted to let them catch up, too. That will happen even faster as the visually challenged become a definable market sector.